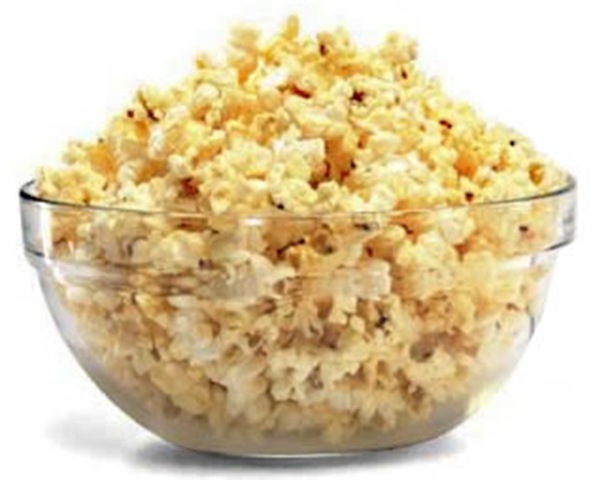 Regarding that movie popcorn that I fell in love with – In case you didn’t know, movie theaters in those ‘olden days’ used coconut oil to cook the popcorn in. It was cheap and tasted fantastic. Sadly, there was a scare campaign against coconut oil that got many theaters to switch to other processed vegetable oils instead. The fact is that coconut oil is a medium chain fatty acid – saturated fat – that is terrifically healthy for us. Check out my page Why you should include coconut oil in your diet for more facts on this very healthy fat. I pop corn in it every night. Although it has fewer calories, the air-popped variety leaves me cold. Popcorn lends itself to lots of variations of which some are healthy and some decidedly not. The microwaveable ones I have seen at the supermarket are loaded with extra ingredients that you don’t need and have tons of calories, too. Kettle corn and caramel corn while delicious offer huge doses of sugars. 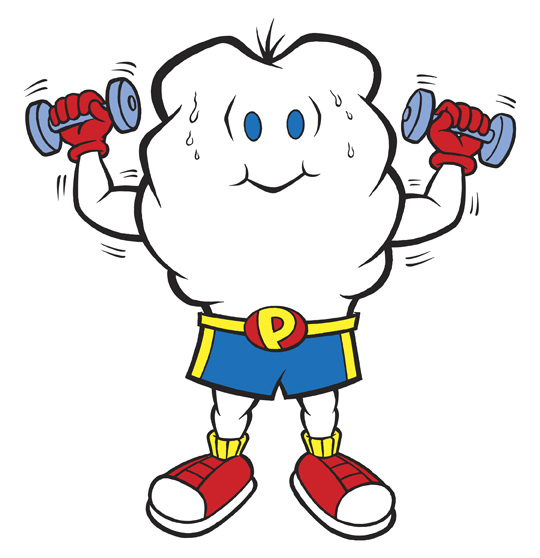 Cheese popcorn usually translates into unhealthy amounts of fat and other additives. I use Morton Popcorn Salt from my supermarket @$1.29 for 3-3/4 ounces. Note: Early in 2014 I switched to Flavacol popcorn seasoning. I sprinkle a half teaspoon of this into the oil when I pop it and end up with perfect movie popcorn every time. A low calorie variation I have used in the past is to sprinkle soy sauce on it. Feel free to send in your healthy variations on the popcorn theme. Vinny – Thanks for your thoughts. Experimenting with the kids in the kitchen is one of the fun things in life. I certainly enjoyed it when mine were younger. I hope you get around to the coconut oil stove top popcorn. I have it almost every night and it is delicious. Thanks for the link. Spray olive oil over popcorn tossed and then sprinkled w/Parmesan cheese or dried dill or any dried herb great for a variation and tastes great! Thanks, Allie. This sounds like a great idea. Being of Italian descent, I am very interested in the olive oil and parmesan cheese variation – Italian popcorn? People that are trying to eat cleaner are, at first, HUNGRY! Whether you are tweaking your diet a bit or doing a real 180, you are retraining your pallet (some more than others). A familiar and HEALTHY snack is popcorn. Of course, with everything, you have to pay attention (an extra large tub of buttered popcorn at the movies doesn’t count, sorry) but popcorn, for the most part, is fool proof. I’m so glad Tony wrote this post. As a mom trying to be healthy (and looking for healthy kid friendly snacks all the time) popcorn is a winner. My go to brands are “Boom Chicka Pop,” “Popcorn Indiana Sea Salt” and my favorite “Skinny Pop”- all have 3 ingredients and no prep needed- open bag, eat. I get the 100 calorie bags when I can or I ration it out because I would eat the whole bag. Thanks for the reminder! I had a bag with my lunch today…delicious. Holy cow! That flavacal popcorn seasoning has 114% of a daily dose of salt in 1 teas. Hows that for turning your healthy snack into sodium loaded overkill? Who needs that? When I make popcorn, I use only about a half teaspoon for an entire pot.